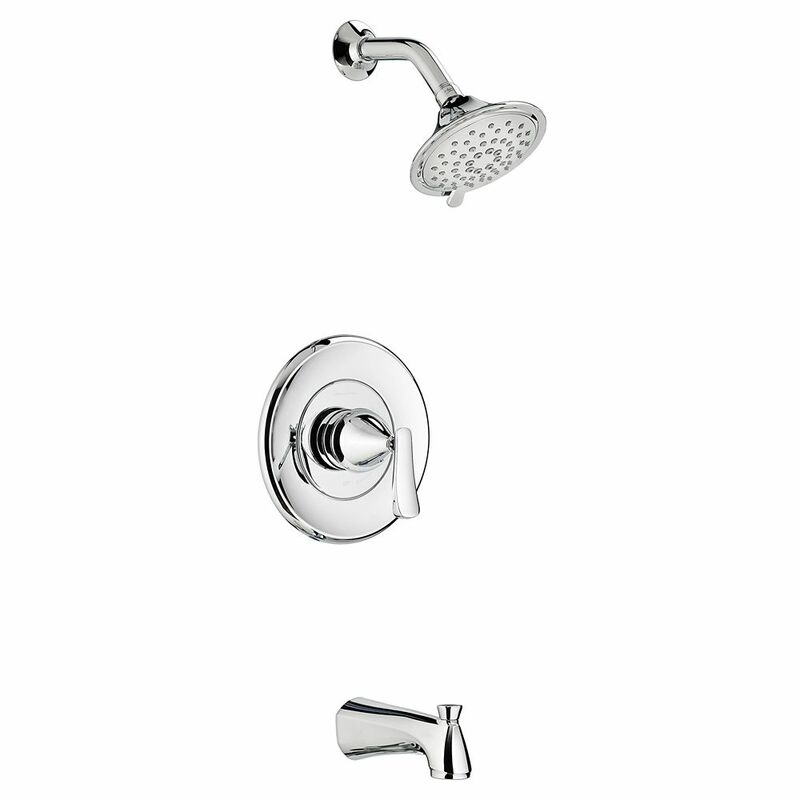 Enjoy your bath or shower for as long as you like with the American Standard tub shower faucet in chrome. Adjust its 3 spray settings to meet your own shower needs. Change the water temperature to how you like with the faucet's lever handle. Turning the handle of the palm tree like faucet will bring you one step closer to paradise - right in your bathroom. With faucets, trim kits, and toilets from the Tropic collection, these sleek design will fit nicely in a modern bath as well as a traditional one. Also available in store by special order only see store for details. A classic chrome centre bathtub faucet with shower diverter, this piece can be the simple touch you're needing to complete that vintage look. Cross handles feature white porcelain inserts, and the coin-edge detailing adds that extra bit of warmth and charm. Also available in store by special order only see store for details. Chatfield 3-Spray Wall-Mount Tub Shower Faucet in Chrome with Showerhead Enjoy your bath or shower for as long as you like with the American Standard tub shower faucet in chrome. Adjust its 3 spray settings to meet your own shower needs. Change the water temperature to how you like with the faucet's lever handle.